Try this super quick and easy dish using the best of summer veggies! Heat a large cast iron griddle pan over a high heat. 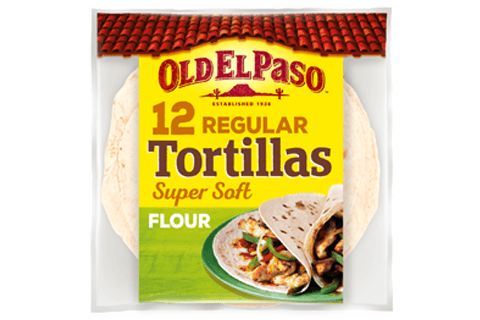 Cook each tortilla in the hot pan and press down for about 30 seconds on each side until lightly charred. Cover and keep warm. Toss the onion, mushroom and courgettes in a bowl with the oil. Sprinkle over the seasoning mix. Cook the vegetables in the hot griddle pan for 3-4 minutes until just tender and lightly charred, turning occasionally. Divide between the warm tortillas and top with tomatoes, avocado, coriander leaves and feta cheese. Serve with lime wedges to squeeze. 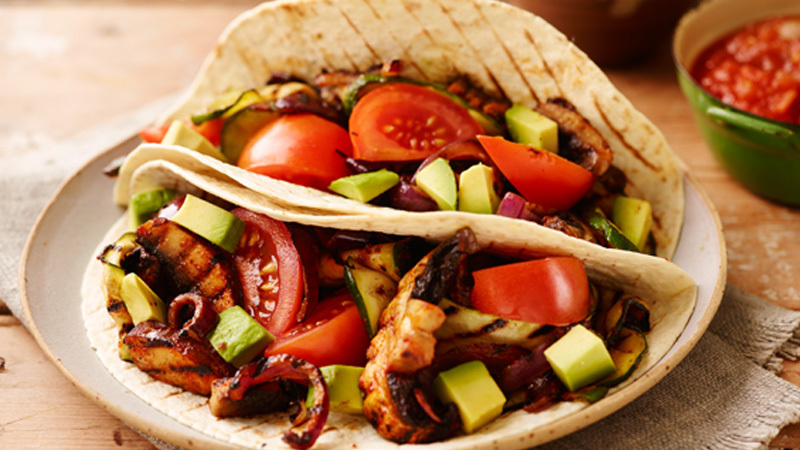 Spread each char-grilled tortilla with some Old El Paso™ Thick ‘N’ Chunky Salsa before topping with the vegetables. Heat the tortillas and cook the vegetables on a hot barbeque.